Vista Bella condominium home for sale in Orange Beach AL. 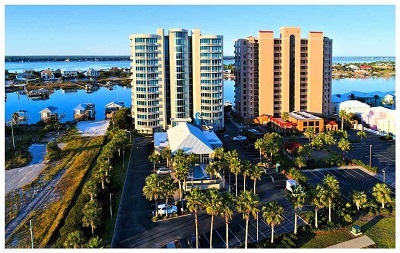 3BR/3BA unit is available at Vista Bella along with a large boatslip #7 w/ lift The owners of these units took an amazing idea and went with it! 1101 (west corner unit w/ wrap around balcony) and 1102 (center unit directly next door/ a marina facing balcony) have been opened up into one large 4800sqft + living and entertaining space that you wouldn't believe unless you see it for yourself! The unique construction of removing a wall but keeping the option of privacy will truly impress you. A moving cabinet on one side and barn door on the other gives you options to open the units or keep them private. Both units offer 3 bdrm/3 full baths w/ 2 full kitchens, 2 living room areas and 2 dining areas. Both units offer a fully stocked kitchen with ss kitchen aid appliances, beautifully furnished living & dining areas, 2 wet bars w/ wine coolers, 6 custom furnished bedrooms, 2 gas burning fireplaces... Vista Bella condominium offers upscale amenities for all its owners but these particular units convey w/ garage #8, large boatslip #7 w/ lift & a kayak slip closest to the marina. The owners have the use of a large indoor and outdoor pool, fitness center, marina and a gated deeded beach access! This property is truly a must see!